We can probably chalk that up to the GTX+'s new drivers. We retested the old 9800 GTX with the new drivers in Assassin's Creed, Bioshock and The Witcher. NVIDIA told us that the other games we tested didn't change in performance but we didn't verify that. After the Radeon HD 4870 review is done we should be able to go back and retest the rest of the 9800 GTX numbers to help clear up any issues like this. Ah, good to know that there is a reason! 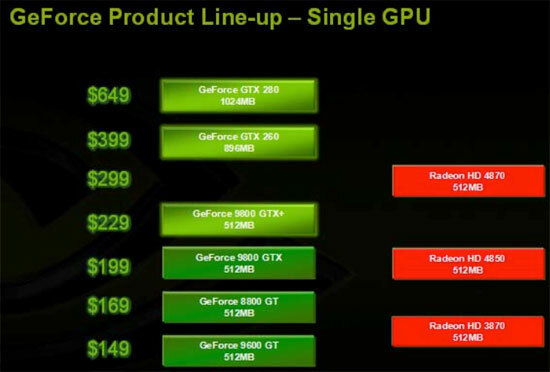 And its only 10-15% slower than GTX 280 with half the price! And 4870 has GDDR5 memory! Ouch... You are right! But I'll asume it will do something alike on ATI's, which have also be found to have 'bad' coolers.